Na tuto nabídku se právě díváte spolu s dalšími 10 cestovateli. Máte dotaz pro The Vijitt Resort Phuket? 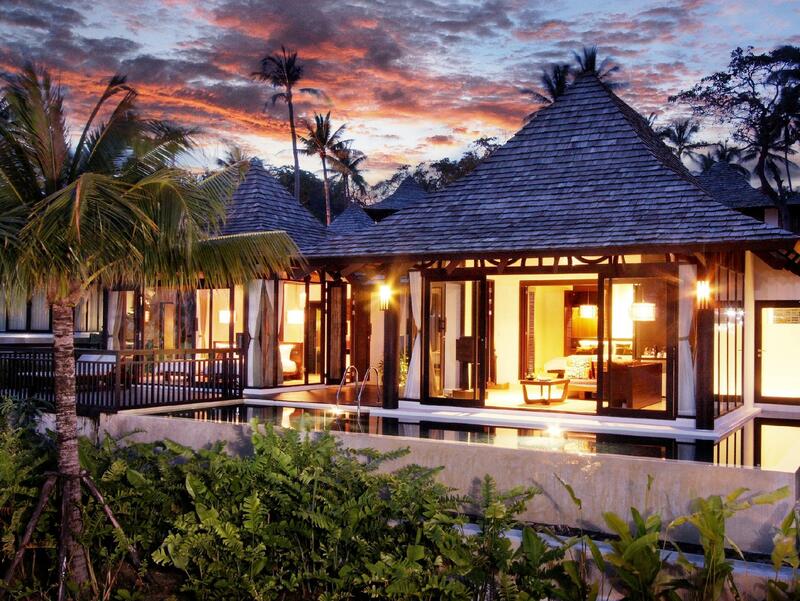 Phuket je nejlepší objevovat, když máte všechno na dosah, a The Vijitt Resort Phuket tento předpoklad skvěle splňuje. Centrum města je jen 20 km daleko a na letišti můžete být během 50 minut. Pokud vás baví bloudit po okolí, Seashell Museum, Wat Sawang Arom, Laem Ka Beach a další zajímavá místa by vás mohla zajímat. The Vijitt Resort Phuket vám poskytne dokonalé služby a zázemí, které vám jistě přijde vhod po vysilujícím cestování. Přímo v zařízení je vám k dispozici Wi-Fi zdarma ve všech pokojích, nonstop zabezpečení, denní úklid pokojů, obchod se suvenýry/dárky, nonstop recepce a další vybavení. The Vijitt Resort Phuket vyniká charakterem, který se odráží v každém z pokojů. Ve většině z nich se nachází například televize s plochou obrazovkou, telefon v koupelně, oddělený obývací pokoj, detektor kouře, připojení k internetu (Wi-Fi) a další vybavení. Díky vybavení, jako je například fitness centrum, venkovní bazén, lázně, masáž, dětské hřiště a další, je zaručeno, že pobyt zde bude pro vás představovat příjemně strávený čas. Pro hosty, kteří se v destinaci Phuket chtějí ubytovat v okouzlujícím a pohodlném prostředí, může být The Vijitt Resort Phuket tou pravou volbou. Děti mladší 6 let obdrží snídani zdarma. Děti mladší 6 let mají při použití stávajících postelí pobyt zdarma. Děti ve věku 6 let a výše musejí použít přistýlku. Dětem ve věku 6-12 let bude účtováno 1250 THB za dítě za noc (snídaně a postel navíc zahrnuty). Na slavnostní večeři 31. prosince 2019 se vztahují dodatečné poplatky, které se platí přímo v ubytovacím zařízení. Na slavnostní večeři 31. prosince 2019 se vztahují dodatečné poplatky, které se platí přímo v ubytovacím zařízení. Sazba je 5 500 THB za osobu a 3 000 THB za dítě ve věku od 6 do 12 let. We stayed there for around a week with 2 small kids. The room was big enough, with great view. The staff were friendly and very helpful in arranging our tours. Rooms are cleaned twice a day. We would definitely come back. The resort is beautiful the amenities are beautiful. The staff is even wonderful initially. Trying to get another drink, order anything else or even ask for your bill on this property is almost impossible. First impressions don’t mean everything unless you maintain them. It’s off the beaten path, and sllowww service. I have really enjoyed a nice holiday there. Only staying in the hotel can still be so comfy and chill. Though the hotel is a bit far from the central area and travelling is a problem that has to be solved if you don’t know how to drive or not having a car. My daughter and I came for a 2 night 3 day stay at your resort and fell in love with the facilities, the view, the amenities and staff! 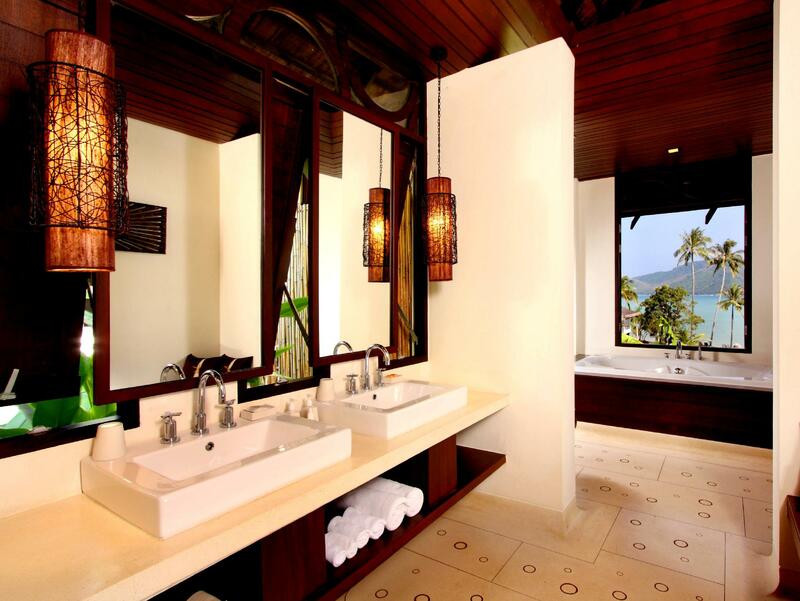 Loved the bungalow villas and outside showers. Loved the infinity pool and the food! We took advantage of the shuttle to see the sunset and Promthep Point and swim at Nai Harn beach. Yes the tide goes out and but this has very little impact on the enjoyment of our stay or view. We walked around at low tide and looked for crabs. I would 100% recommend this resort and do nothing but stay on the grounds and use the resort shuttle. This was the best family trip. 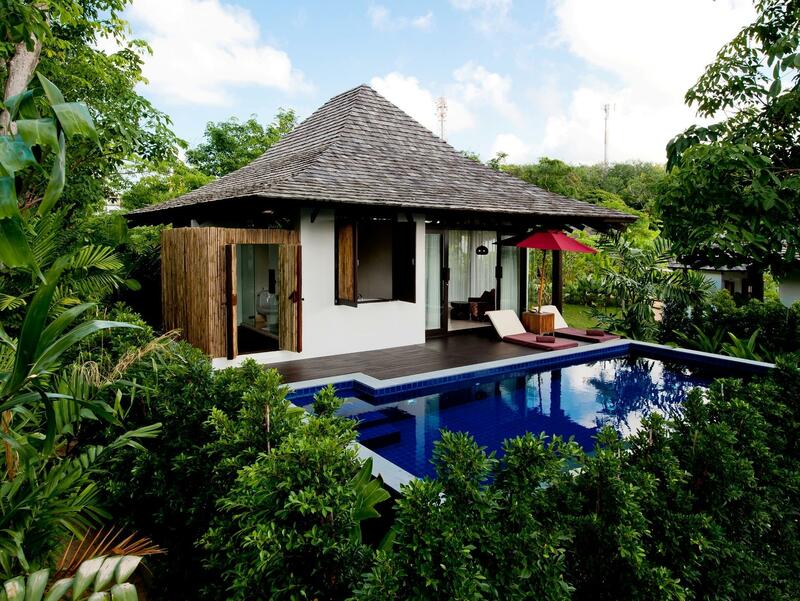 We had the two bedroom pool villa. Our children are old enough to sleep in their own separate building and to swim without supervision, I do not recommend this for younger children. The staff was polite, professional, and friendly. The resort pool and pool bar menu were great. Breakfast was amazing, especially so because it was included. The spa was superb. I had a deep tissue massage. The kids club was fun for our children- the especially enjoyed the umbrella and batik painting activities. I enjoyed the yoga class (the setting was straight out of yoga video- on the grass overlooking the ocean surrounded by swaying palm trees). The hotel responded to our requests very promptly and always followed up with a phone call to ensure our request was seen to. The kids loved calling a “buggy” (golf cart) to get around. I highly, highly recommend this hotel for families whose children are calm, and for couples. We stayed for 10 days on our honeymoon and the trip was as good as can be asked for. 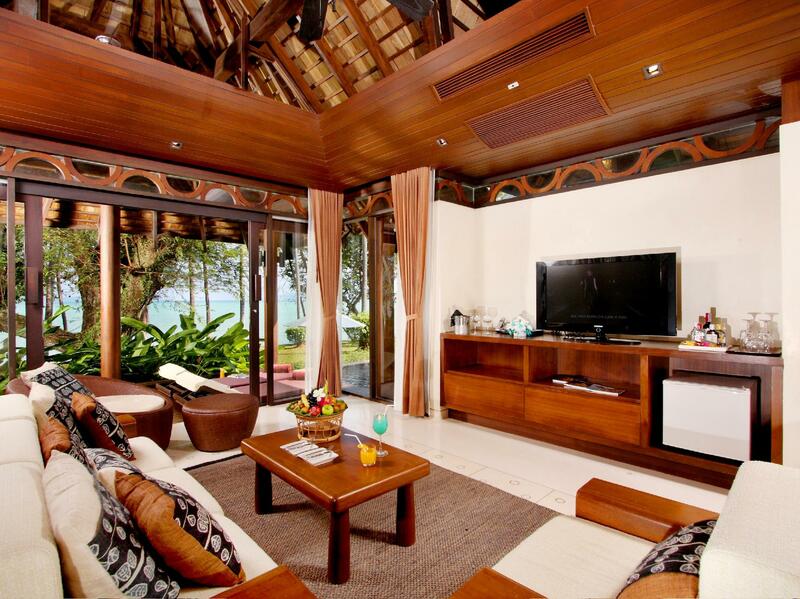 Everything was perfect with our prime pool villa. Lots of space, excellent & attentive staff in all areas of the hotel. Restaurant had very good meal options for breakfast / lunch & dinner. The main pool is lovely although we mostly used our villa pool. The room (villa) exceeded expectations and there are some stunning views around the resort. It was a long way from the airport but worth the trip. The pool has an amazing view of the sea, though it can be noisy at times. Each villa feels like a home, with its high ceiling, garden, giant bath and outside shower along with good quality amenities. The complimentary shuttle bus was convenient for Rawai (just 5 minutes down the road). It’s quiet and nice pool and nice view from the pool. just enjoy holiday simply, there are some activities will be provided by resort. Shuttle bus to patong and phuket town is very good, but need to book one day before. Their staffs are very helpful and nice. A real 5-star hotel with well trained staff and fabulous sea view. Breakfast was good but the range of selection had room for improvement. Swimming pool was beautiful though not very large. We went twice to the nearby seafood market for dinner and enjoyed their food very much. Stayed two nights and if your ideal vacation is to relax this is your place. 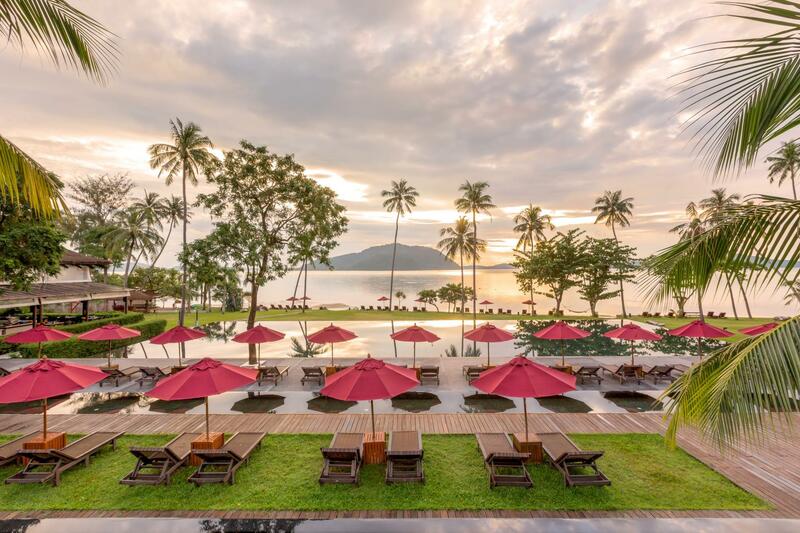 Large infinity pool, restaurant and bar not cheap but standard Thailand 5 star pricing. Best of all though was our beachfront villa which was luxury standard - great view of sunrise. The room was one of the nicest I've ever seen in a 5-star resort. Every detail seemed to be well thought out and in each area of the villa I found something to be quite impressive. From the quality of the bathroom, with the outdoor shower to the amazing bathtub, to the interior of the villa (with the high ceilings and comfortable bed), I was quite pleased. The only unfortunate factor about the villa I stayed in is that I paid for an "ocean view" room, which was obstructed almost completely by overgrown palm trees. It seems like the gardener hadn't serviced that room in quite some time. This being said, I do plan on returning, as my overall experience was great. The food is fantastic, the pool is beautiful, and the grounds are quiet and peaceful. It's everything I wanted for my stay. We loved our stay, the staff helpful and professional. 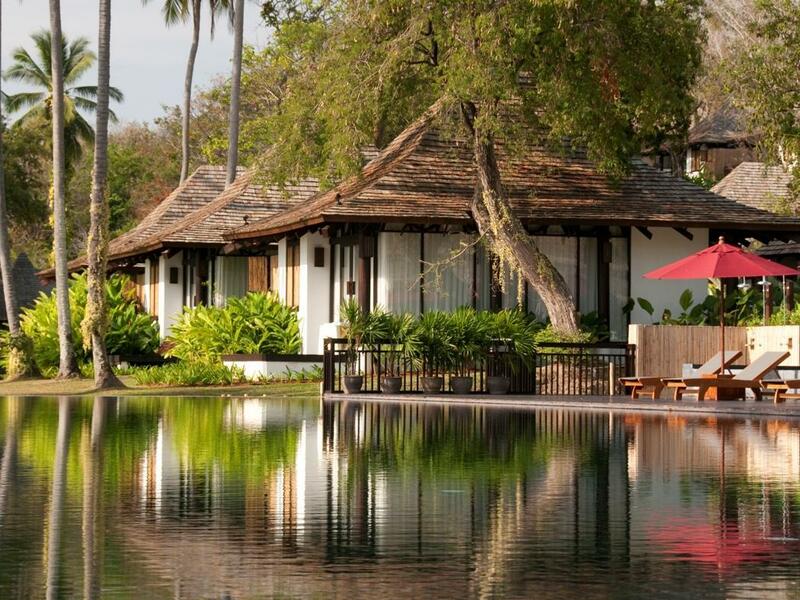 The pool, grounds, rooms are all top notch. The beach is not the best but we taxied from the fairy to Nai Harn beach which is beautiful. 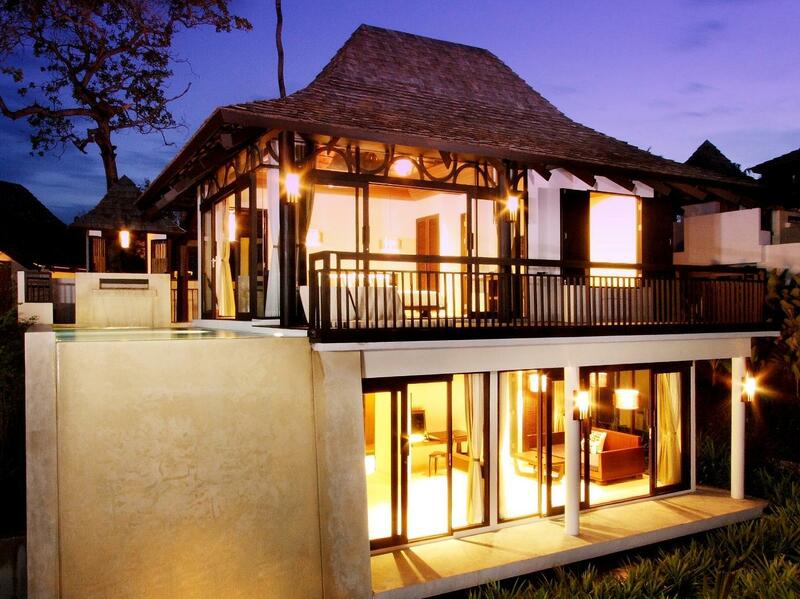 Would stay again in a heartbeat! Beautiful location, friendly staff and amazing rooms. More expensive for food and drink, but if you wander outside the gates, directly opposite is a lovely café/bar where you can get authentic meals for a fraction of the price and a lovely atmosphere. GOOD: Staffs were really nice and helpful, they were very friendly. Hotel environment is good. BAD: Room layout is a bit strange, there's living downstairs which is not accessible from bedroom and it's like underground, dark without view. Room decor is quite cozy, but hanging lamp from the ceiling are way too low and it's at the edge of the desk. No proper area to open big luggage nearby the wardrobe or bathroom, but big empty floor on another side of the room. No place to put a small cosmetic bag at the sink since there are 2 big sinks with very small shelf. Anyway, inconvenient in the room and mattress and pillow are expected to be better qualities. It is a beautiful hotel. Great food and amazing service. A little bit far from everything but as soon as you get to your room you forget about everything. Great for couples. Hopefully we can come back soon. Kind staff and very good resort. Very nice pool with sunrise view. Delicious food and drinks at the bar next to the pool.